GP New Sim Offer 2019. Grameenphone offering 1GB 9 Tk and 1 poisha/second and much more offers with the New Connection.Now all the Gp New Sim Customers will be able to enjoy some exciting Internet and Special Call Rate offer.All the information about Gp New Sim Offer is available here. 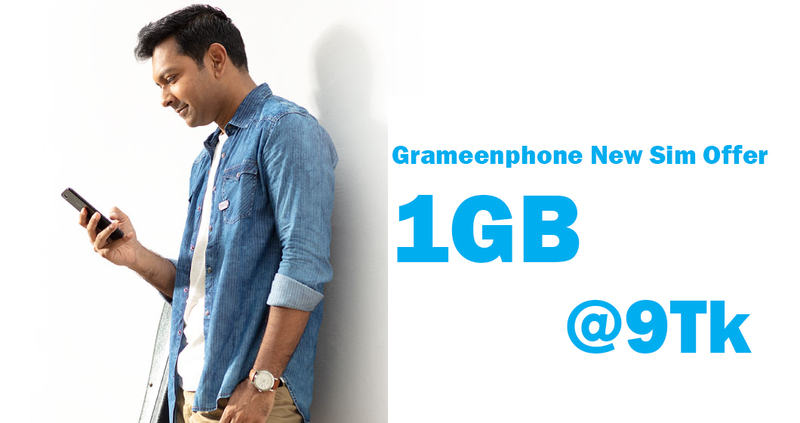 Are you a New User of Grameenphone? Well, you will be happy to know that Grameenphone offering you special internet Gp 1GB @9Tk and 1 poisha/second to any local operators. If you have any question about Gp New Sim Offer 2019, then comment below we will replay you back soon.